Ongoing work near Tattershall causing 15 minute delays for motorists - Anglian Water says sorry. As part of the project, longer lanes will be created along Outer Circle Road on the approach to Wragby Road. In addition, the Wragby Road carriageway between Wolsey Way and Outer Circle Road will be widened to accommodate four lanes - two westbound and two eastbound. The £2m improvement scheme, which will ease congestion in the area by increasing capacity and improving traffic flow, is expected to last for six months. Other improvements include full carriageway reconstruction on Wragby Road, Outer Circle Road, Outer Circle Drive and Wolsey Way, along with construction of an additional eastbound lane on Wragby Road past Wolsey Way. 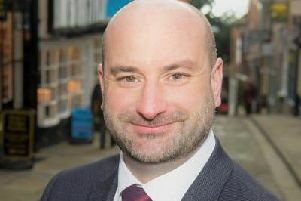 Addressing concerns from commuters, Coun Davies added: “We realise that this is a major route for residents and commuters, so when work starts, we will closely monitor progress to ensure that the contractor remains on programme and carries the improvements out in a sensible and productive manner. “This is to ensure that the road network continues to run as smoothly as possible throughout the project.